American Idol 2011 Vegas predictions & Vegas Odds - J-Lo says No to American Idol: The Vegas predictions say "J Lo is no longer in the running" – Who will sit by Tyler? According to LA times Steven Tyler has signed on and will be one of next years American Idol judges, while J Lo and her “larger than life” attitude (even with her sinking ratings) will not take a judge position. According to American Idol she is seeking 20 million dollar compensation, which is beyond Idols budget for what appears to be a “has been” actress/singer. Vegas Predictions for 2011 American Idol judges show Shania Twain in the lead: Shania Twain seems like the lead contender with odds of 3/1. Shania has taken home over 180 awards since 1993 from the Canadian Country Music Awards to the CMA’s and has years of talent to prove she is worthy of the final idol judge position. However: Madonna carries some weight in this category and why shouldn’t she. This pop star diva has carried the world to new heights when it comes to originality and talent. Her years of transformation has always shown her to be versatile and creative. Madonna has plent y of experience to offer the contestants and the Vegas odds show her to be of interest to Idol at 6/1. Since Steven Tyler has signed on there is more to be seen with who will take the next position. Lots of talent out there but, without Simon Cowell the show could be in rating troubles. I believe they are looking in the right area, but I also believe Madonna to be the better pick in entertaining the crowd vs. Shanai’s realistic views. This would be the chance for people to better see Madonna’s personality in full force. Steven Tyler and Madonna? That could be cosmic combination worth watching. 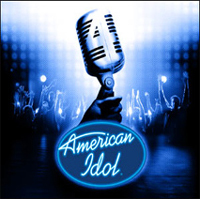 Idol will really need to think this one out and will have to rely on the talents of their selection to keep American Idol 2011 in the ratings. Who will sit by Tyler? Vegas predictions will show you who’s on the “Borderline”.